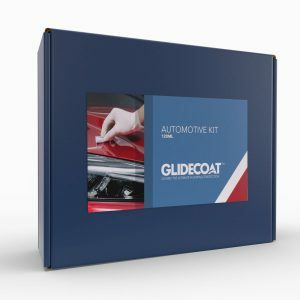 Want to have your automobile looking better than factory new? Create a gloss and shine that will make everyone jealous and add a high level protection from sun damage, salt, bird droppings, leaf stains, bugs, etc! Our premium car care product lasts longer than wax and easier to apply. Simply spray on and lightly buff with a microfiber cloth. Works great on paint, vinyl, stainless steel, glass, plexiglas and rubber. 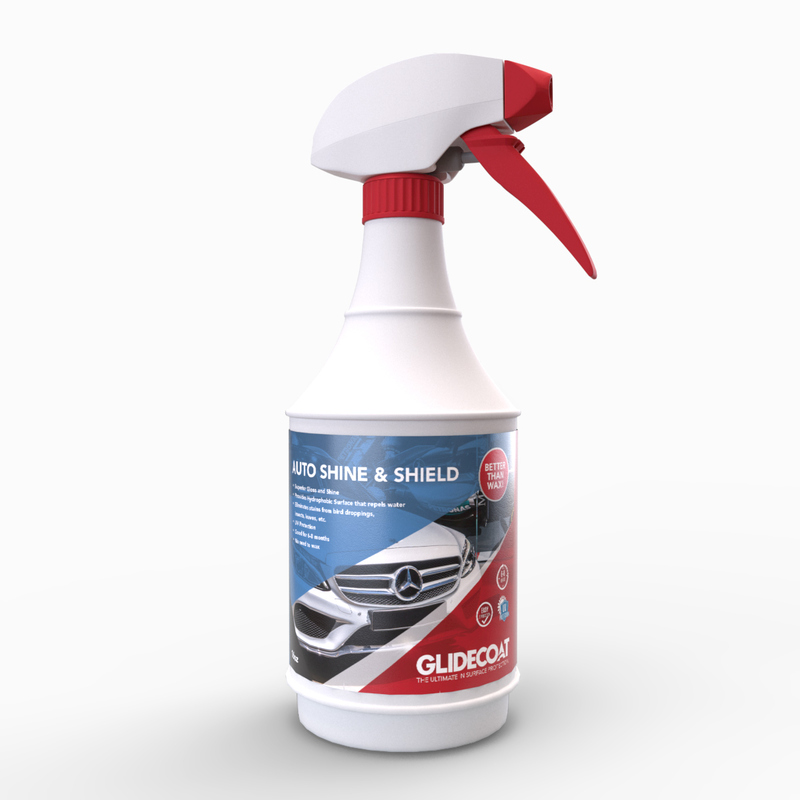 Glidecoat Auto Shine & Shield is the ultimate replacement to wax and makes maintenance a breeze. Simply rinse with water when you return from your day on the road. Glidecoat Auto Shine & Shield provides a high degree of Gloss & Shine without the effort of applying wax. In addition it makes the surface hydrophobic, repelling water, dirt, salt, bugs, acid rain making it easier to maintain and keep clean. It will work on any surface on your vehicle from exterior paint, vinyl, chrome, rubber and glass. Eliminates stains from bird droppings, insects, leaves, etc. Lightly buff with a microfiber cloth until completely dry. DO NOT APPLY IN DIRECT SUNLIGHT ~ Ensure surface is cool to touch when applying. Product can be layered for added gloss and protection. Product has a shelf life of 2 years. Once opened, the product must be used within 12 months.